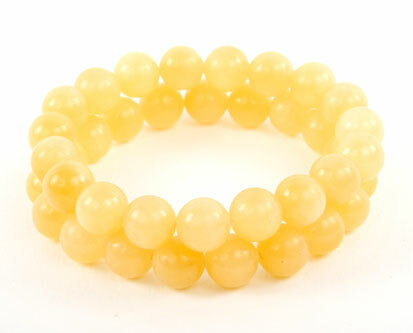 A Set of two bracelets made from lemon Aragonite stone. This stone is like sunshine on your wrist. Each bead measures 10mm. A distinctive piece. Measures 7.5 inchs. Elasticated to fit most wrists.